As most of my readers know, my wife is a ceramic artist (a potter) who does wheel thrown pottery. 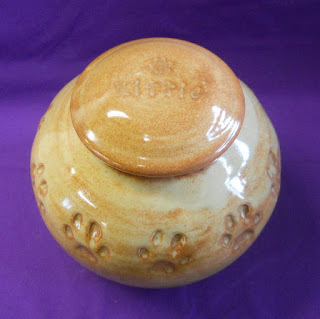 One of the items that she makes are pet cremation urns. 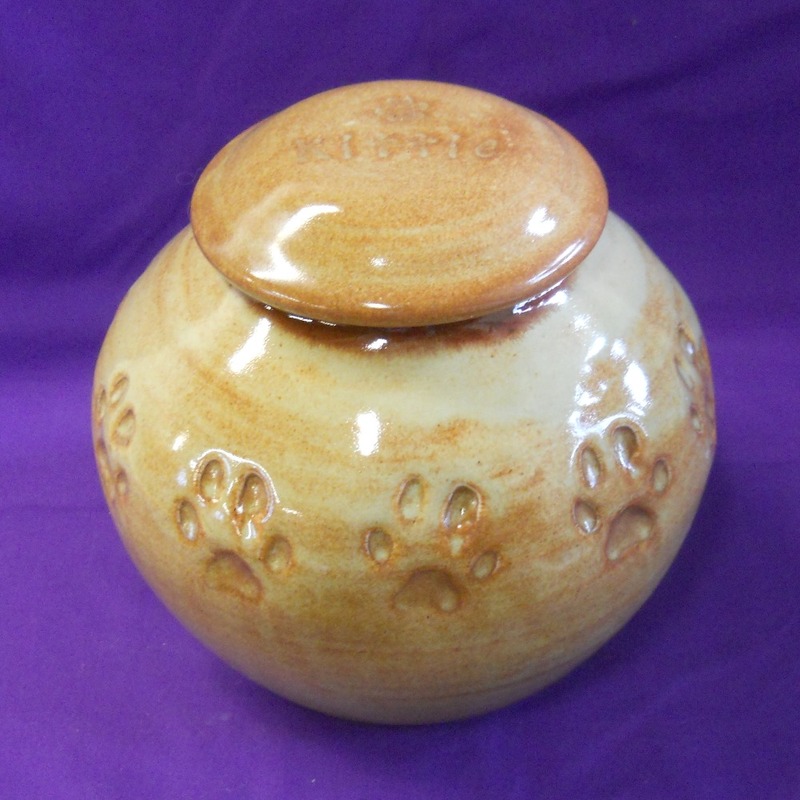 She can make ceramic pet urns with paw prints for dogs, cats, and ferrets. She does have a size limitation (basically she can't make an urn for a godzilla sized dog). The most common customization request is for the pet's name to be on the urn. If you are interested, you can check out her Etsy shop.